Whether you’re buying a home, building an office or renovating your kitchen, it can be intimidating to glance upon a floor plan with all of its lines, angles and numbers. Not everyone is graced with the spatial reasoning necessary to stare at a blueprint and build a 3D version of the space in their mind. Too often this can lead to problems and speedbumps in construction whenever everyone involved on a project differs in how they see things. Luckily, there is software like IrisVR’s Prospect, an intuitive virtual reality (VR) program that helps bring planners, customers and contractors together into a computer-generated 3D model. Before we get into the nitty-gritty of the software’s look and feel, let’s focus on the specific features it brings to the table for building information modeling (BIM). IrisVR Prospect allows architects, engineers and construction specialists to launch their 3D models into a full VR ecosystem. 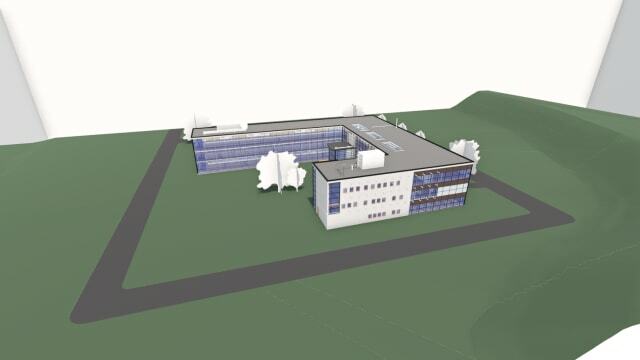 The software comes with native 3D file support, allowing automatic conversion of Navisworks, SketchUp, Revit, Rhino, FBX and OBJ files. Once a file has been uploaded to Prospect, the user can rely on an Oculus Rift, an HTC Vive or a Microsoft MR VR—we used the Oculus Rift—to start their adventure into exploring the generated 3D model. This allows users to jump into scenes and points of view to explore the 3D models as if they were walking through a physical building, or to-be-constructed building, and experience the spaces. 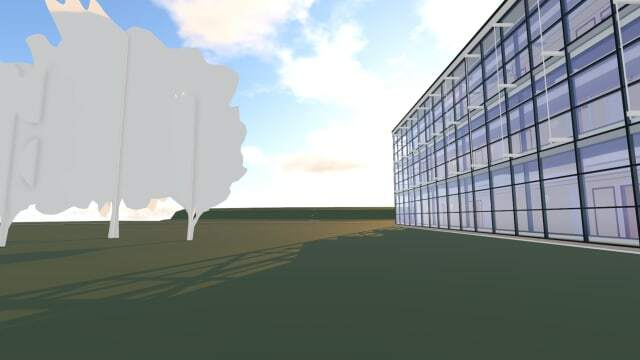 Upon booting up the program and loading a BIM file, users are brought to a white room where a model-sized version of the chosen BIM file floats in front of them. 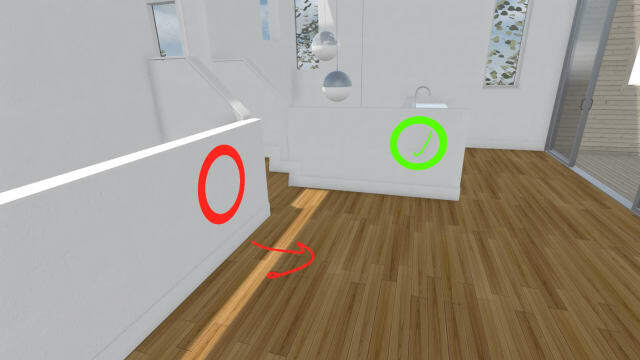 By pulling the triggers on the VR set’s controllers and either spreading their arms or bringing their hands together, users can manipulate the size and orientation of the floating model to inspect it as if it was on a table in a showroom. Users will notice in real-time two things at their first glance to their hands: a menu display generated from their left hand/controller and a laser pointer projected from their right hand/controller. Users can select from the menu one of the many features presented with the laser-pointer, pulling a trigger on the Oculus Touch to choose. A useful tool while still viewing the file in model-mode is the cross-sectional, planar cut tool. Accessible from the floating menu generated within, users can toggle to a transparent plane they can move with a single trigger pull to view different cross-sections of the scale model before them. Users aren’t restricted with the standard xy-, yz-, xz-planes. Instead, a key-turning motion with the trigger pull allows users to change the angles of the cross-section. Another useful tool—the layer function—allows users the ability to make certain layers of assets disappear and reappear on command. 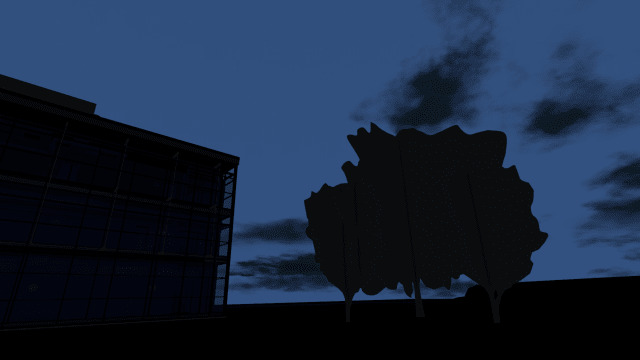 After some experimenting with the scale model, it’s time to hop in and explore it in first-person. Either teleporting, pushing forward on the right hand’s Oculus Touch joystick, or using the point of view feature, which is accessible from the menu, will get users started. It's worth mentioning how great it looks. Sometimes BIM software, when viewed on a screen, looks bland and flat, reminiscent of the graphics from 90s video games, like DOOM. Once we hopped into the actual file itself and had the chance to explore, the flatness that plagues other BIM software was eliminated in Prospect. A real sense of perspective on the space is given to users. Moving one's head around also moved the view around, giving a notion of parallax. Having your eyes focus and track objects gives a real sense of depth perception. Another feature of note is how cleanly the shadows interacted with objects. On the left hand’s menu, one can find the lighting options feature. With geographical metadata correctly inputted into the BIM file, users can select the day of the year and time of day to generate the position of the sun, as well as the moon and stars if the time selected is after sunset and before sunrise. Beyond the shadows and sense of space, the textures, assets and geometries depend on the BIM file that is uploaded, which means we can’t blame Prospect for any poor choices in color schemes. But textures and color schemes aren’t that important when the true purpose for Prospect isn’t for how great the navy-blue table assets match the yellow floor; its purpose is to provide the user the chance to experience and manage the space as if they were there themselves. Where Prospect really hits its stride is with its meeting feature. Multiple users—doesn’t matter where they are, provided they have access to the software and an Internet connection—can meet up in a specific BIM file that's been converted to Prospect. This lets groups of users inspect virtual sites together and build reports on the structure or floor plan. Voice is available through the chosen VR hardware and allows for real-time communication. The avatars that represent other users also generate the positions of users’ hands and head. This allows for some extra non-verbal communication, such as nods of agreement, and really aids in paying attention and following whomever is speaking. All of this allows contractors, plumbers, HVAC, interior decorators, architects, engineers and customers to walk through the uploaded BIM file together and coordinate and make decisions on design, construction or repairs in a natural way that not a lot of software out there offers. With the help of the mark-up and screenshot tools, host and attendees to such meetings can use the brush tool to add their own inputs. Need to get rid of a wall? Draw a bright red X on it. Need to note that a door should be moved a few inches to the right? Draw a green arrow to its new destination. Moreover, any screenshots snapped are saved automatically to the file itself and can be edited to include extra notes for reports. Another two practical tools are the measuring tape and asset selection features. For the measuring tape, any contractor or site manager can hop into a BIM file and get accurate, 3D distances between assets as they please, without ever stepping onto a construction site. The asset selection feature allows users to select assets and be given a list of its information, including its geometry, where its file is stored in the computer if it needs to be edited, labels if any have been applied, etc. On top of that, selected assets are highlighted to contrast them from their surroundings and allow any meeting attendee to see which specific asset someone is speaking about. Not everything is perfect. Due to it being a VR application, Prospect is heavily dependent on the capabilities of the user’s graphics card. That also means that it burns through power. Make sure your laptop is connected to a power supply because even the best battery doesn’t stand a chance to last too long while exploring in VR. Also, moving around the site itself could be optimized. As of right now, moving up and down stairs is one of the least intuitive and more difficult parts to the experience in Prospect. All motion of an avatar comes to a halt once stairs are encountered, and users are required to change their altitude manually with the A and B buttons on the right hand’s Oculus Touch controller. Moreover, some assets are permeable to avatars while others stop all motion like the stairs do. This isn’t anything that kills the VR experience, but it definitely reminds users quickly that they are in a virtual scene. The last con is that some textures seem to flicker into and out of existence like a strobe light. Even users with the best attention spans may find this distracting as it can take away from the beauty of the geometry and architecture. Luckily, these all seem like relatively simple bugs to be fixed in later iterations of Prospect. Small bugs like those mentioned above, however, pale in comparison to the potential that Prospect possesses. There are a lot of sectors in architecture, engineering and design whose efficiencies could be aided with the use of Prospect. Trying to sell a home that hasn’t been built yet or to someone who can’t visit the site? Have them tour the space for themselves or guide them through yourself. Need a duct fixed? Give the HVAC company access to a BIM file of the site so they can prepare beforehand, which could mean less money spent on labor. Furthermore, all notes and screenshots are compiled into one place that is accessible to anyone the file has been shared with. Instead of having different contractors, tradespeople and designers having separate plans or drawings, all of the information is kept together in one place. All in all, Prospect is a great asset to pick up for anyone who designs, uses or sells physical spaces, and it represents a new horizon for BIM software. Start a free, 45-day trial of Prospect here.